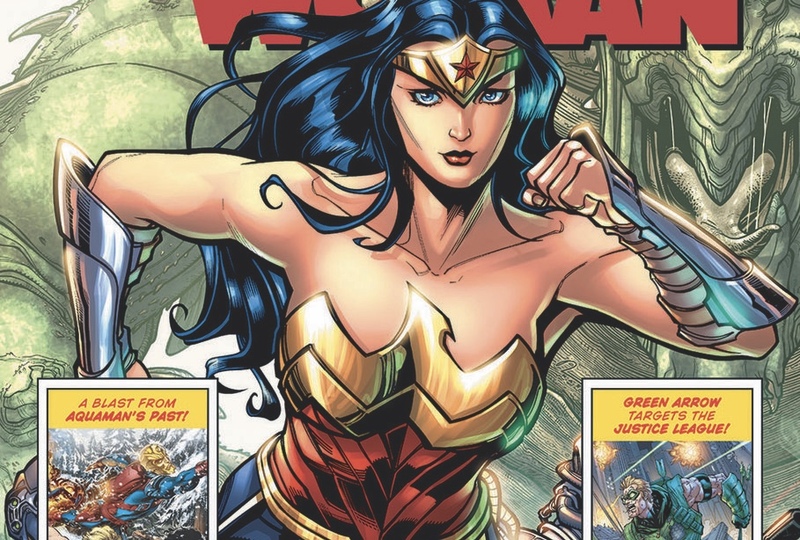 Swamp Thing, The Flash and more join DC's Walmart 100 Page Giants – AiPT! Each costs $4.99, available in more than 3,000 stores. The Fastest Man Alive and the Guardian of the Green are just two of DC’s heroes joining Walmart’s 100 Page Giants. In a press release, DC have revealed that Wonder Woman Giant #1, Titans Giant #1, Swamp Thing Giant #1 and The Flash Giant #1 are on the way for February 17th, 2019. All of these feature original stories and reprinted ones. Wonder Woman Giant #1‘s cover is by artists Chad Hardin and Alex Sinclair. Former Harley Quinn writers Amanda Conner and Jimmy Palmiotti continue their original WW story from Justice League of America Giant #1. Titans Giant #1’s cover is by Dan Jurgens, Norm Rapmund and Alex Sinclair. Booster Gold creator Dan Jurgens continues his original Teen Titans story, with artists Scott Eaton and Wayne Faucher. Swamp Thing Giant #1’s cover is by New 52 Batman artist Greg Capullo and FCO Plascencia. It has an original story, Desert of Ash, by former Nightwing writer Tim Seeley and Green Lanterns artist Mike Perkins. In it, Swamp Thing and witch companion Briar face pyromaniac Char Man, who has the power to control flames. This was given by the elemental spirits of fire itself. You’ll also get stories starring Animal Man, or featuring Detective Chimp and Shadowpact. The Flash Giant #1’s cover is by Clayton Henry and Marcelo Maiolo. It begins 12-part story Glass Houses, by Birds of Prey writer Gail Simone and Black Lightning: Cold Dead Hands artist Clayton Henry. In Glass Houses, Flash has to stop Mirror Master, whose skills involve mirrors. It’ll also feature a New 52 Flash story, an Adam Strange story and a Shazam story from Geoff Johns. Each of the comics costs $4.99 and are available in more than 3,000 participating Walmart stores. Be sure to check ’em out come 17th February.